I’m at my parents’ house, home for the holidays, and I just got back from a short walk. As I looped around the little park at the top of our neighborhood, I starting thinking about all of the walking I did this year. I don’t track my miles (though I may start that next year!) so I’m not sure how far I’ve gone, but I know that I’ve walked a lot. 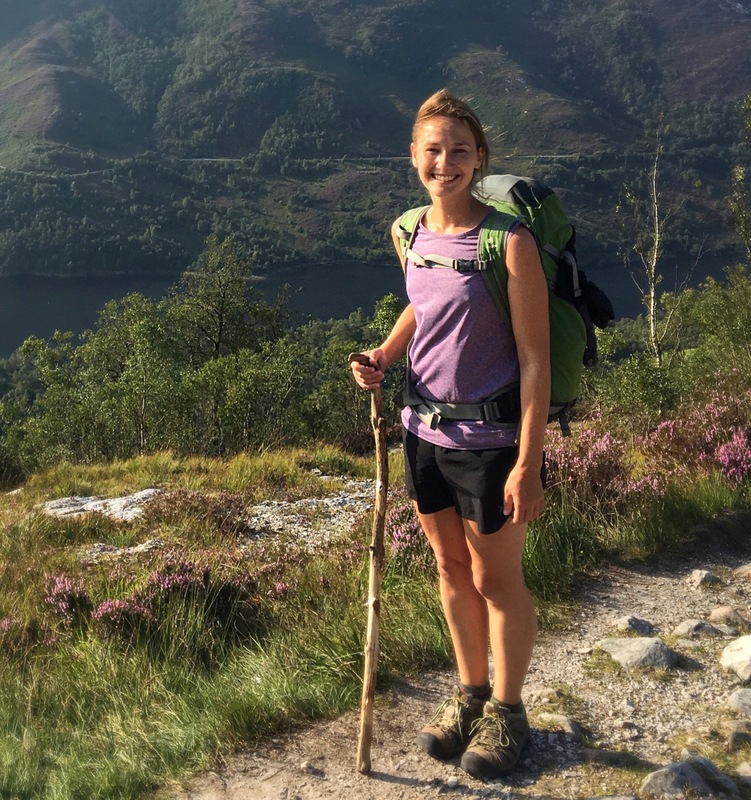 And when I think about all of this walking, my first thoughts always jump to the big trips: the plane flights, the journeys abroad, the treks through Europe. These were great, but the smaller walks were pretty fun, too. In the mountains of southern France or on the sidewalks of a leafy suburban town; I’m happy in either place, as long as I’m outside and I’m moving. So here’s a small roundup of some of my favorite and most memorable walks of 2017: in places near and far, hot and cold, simple and stunning. 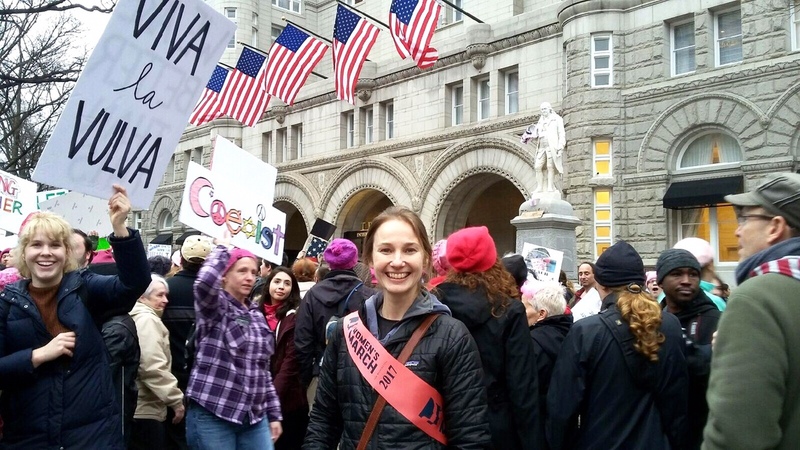 At the start of the year a friend and I boarded a bus in the wee morning hours and journeyed down to Washington DC, where we marched alongside thousands of others in the nation’s capitol, the day after the Presidential Inauguration. This was a different sort of walking than the kind I’m used to, but it certainly counts as one of my most memorable walks of the year. We didn’t move fast, and we may not have covered much ground, but we stood up for women’s rights, for our values, for unity and peace, and it was an incredible thing to be part of. Favorite Moment(s): So many small things to love- chanting along with hundreds of other voices, getting complimented on our sashes, ducking into the National Gallery to see some art, picking out our favorite signs. 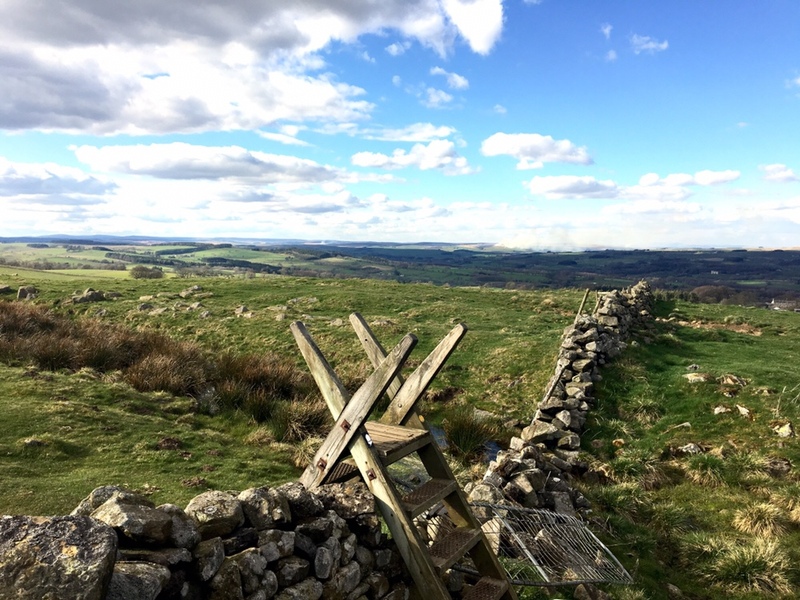 In early April, my friend Heather and I walked 84-miles across northern England, following the route of an ancient wall. It was a trip I’d hesitated to take: would we have enough time, was it going to cost too much money? But in the end, as I nearly always am, I was so happy that I’d made the decision to walk. The weather was about as good as we could have hoped for, and while we had a couple of very long days, we were healthy and strong and finished in good spirits. 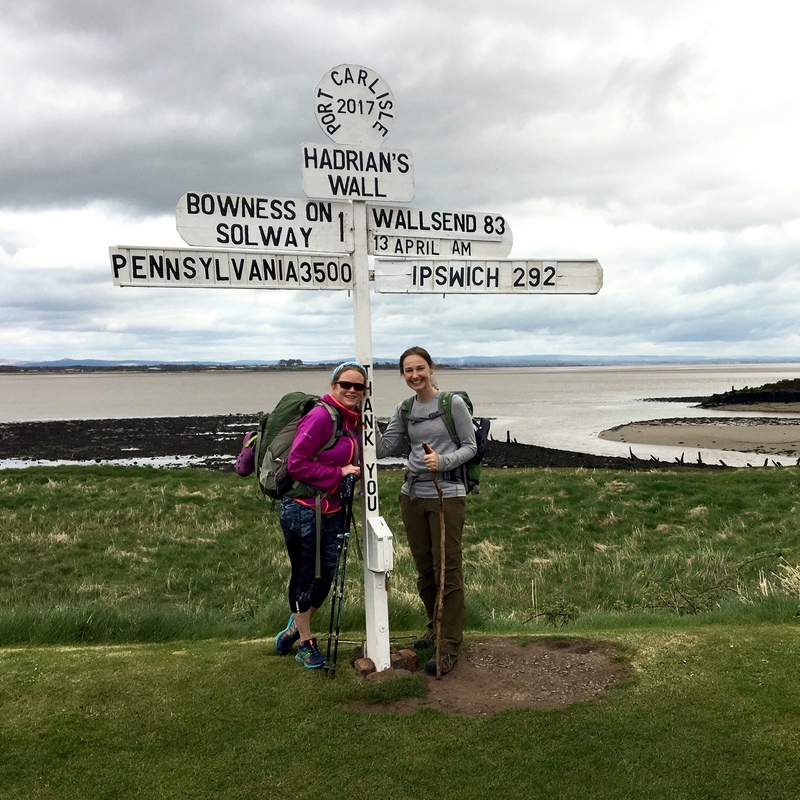 As my walk in Scotland had done the previous year, walking along Hadrian’s Wall made me crave a return to the UK, and to discover more of their wonderful long-distance walking routes. Favorite Moment(s): I loved the day when the wind blew so fiercely it was hard to move forward; nothing makes you feel more alive than standing on top of a hill with the ruins of an ancient Roman wall at your side, the wind howling and raging so loud that it is the only sound you can hear. I also loved (for its hilarity) the moment when I realized that the rain was, in fact, coming down harder than I imagined, and it forced me to make a wardrobe change (i.e. take my pants off) in the middle of an open field. I’ve mentioned this park before, because it’s where I do the bulk of my hiking every year. It’s my nearby state park, with 2,600 acres of woodland and meadows and a great network of hiking and walking trails. When the weather’s decent I try to go at least a couple times a week, more if I’m preparing for an upcoming Camino or long-distance walk. Winter, spring, summer and fall: each season brings a different flavor, a different experience to the park. 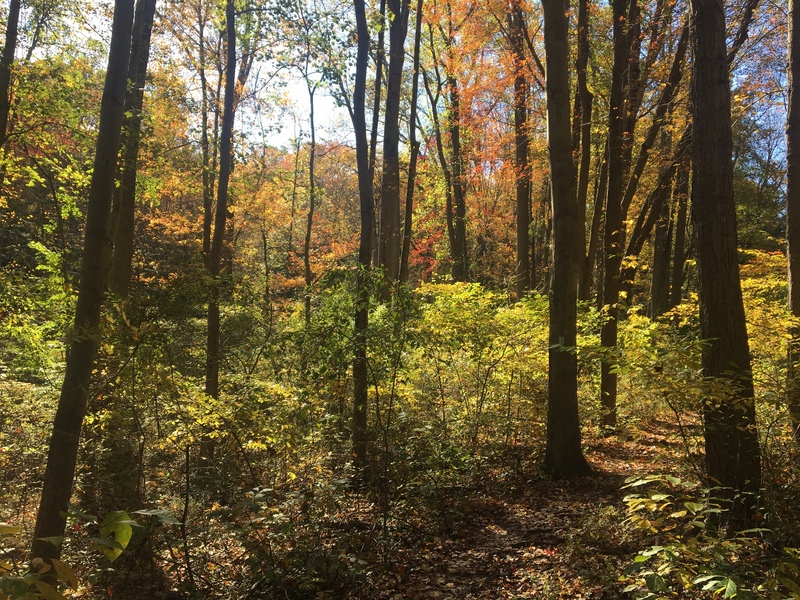 Favorite Moment(s): After years of hiking in this park, discovering a small side trail that led to an arboretum, with miles and miles of additional hiking trails. It was a bit like Narnia! 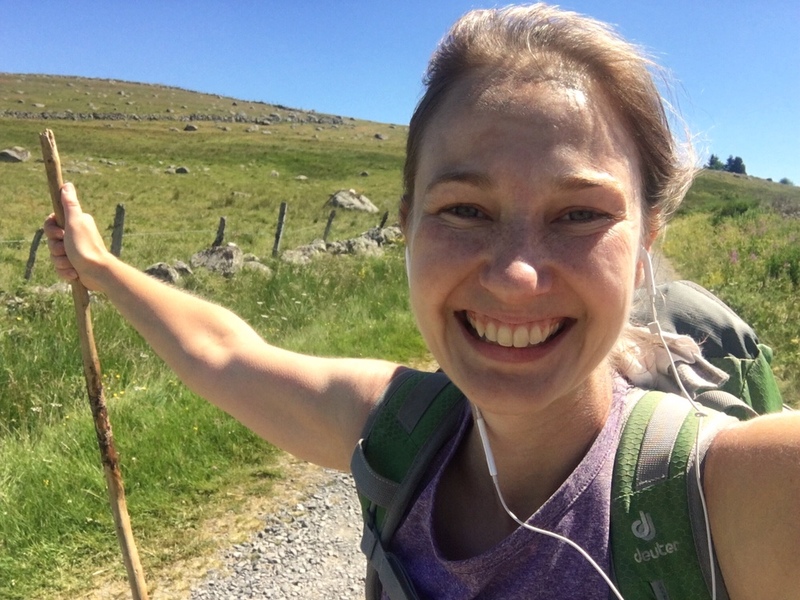 In June I walked for 2 weeks on the Chemin du Puy, a pilgrimage route through France that eventually leads to Santiago de Compostela. I spent the first four days with my cousin Hilary, and then continued the rest of the way on my own. Favorite Moment(s): One of my favorite moments with my cousin was when we stopped for an epic picnic lunch on Day 2 of our journey. We’d picked up sandwiches earlier in the day, and these things were nothing like the bocadillas you’d find in Spain. Soft and crusty bread, smooth mounds of goats cheese, caramelized onions and a fig spread, all fresh and local ingredients. We’d also procured a bag of potato chips and several peaches and we spread out on a blanket in the grass in the shade after walking 15 kilometers on an early summer’s day. Is there anything better than this? And my favorite solo moment was walking across the Aubrac plateau, with such a feeling of openness and peace and joy. 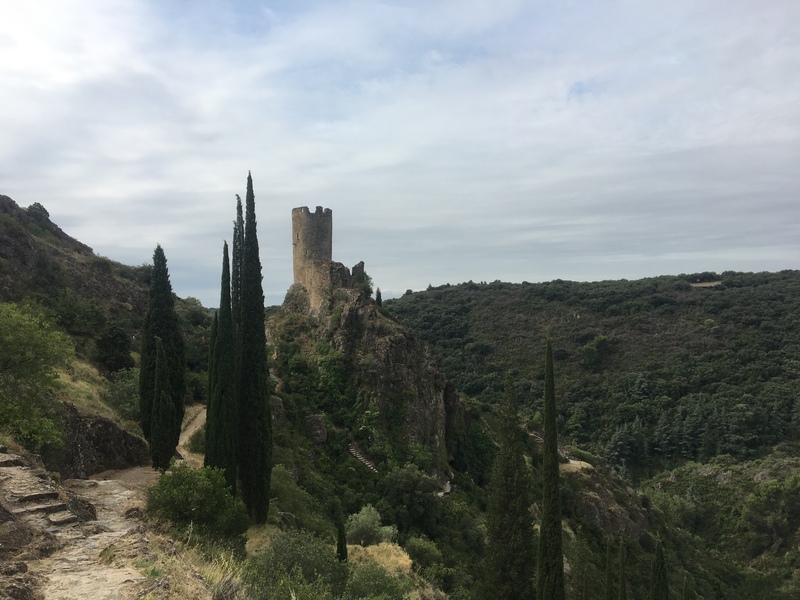 I’ve been to La Muse three times now (the writer’s and artist’s retreat in the mountains of southern France), and this means that I’ve hiked just about all the nearby trails. But on this past visit I decided to hike down to Lastours, the site of the ruins of three Cathar castles. Each year the retreat takes a “field trip” there, shuttling us down the mountain in a van. Since the castles were only about 8km away, I decided to walk. I left La Muse a couple hours earlier than the others who were going in the van, and we arranged to meet up at a café near the castles. All in all it worked out perfectly, though I had to do a bit of trailblazing to figure out how to actually get up to the castles. Favorite Moment(s): Tourists and visitors need to first pass through a visitor’s center where they buy an admission ticket to the site. 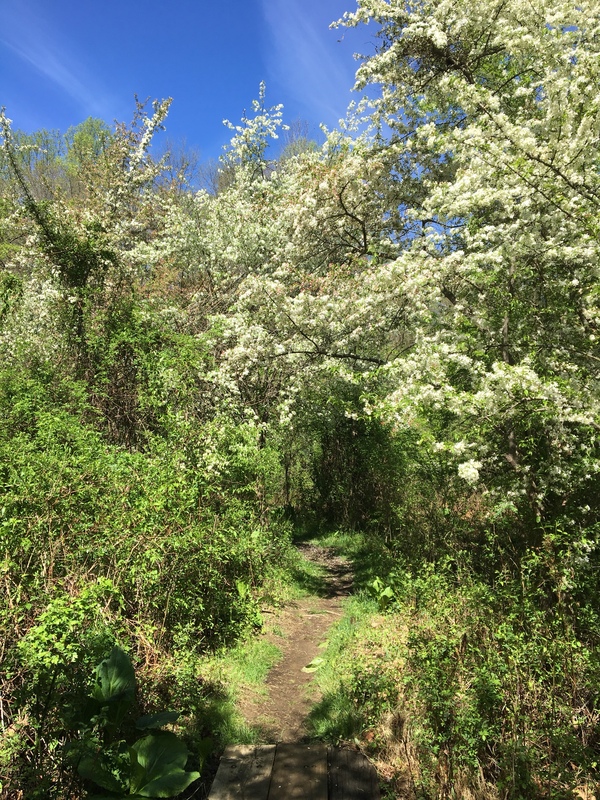 But I hiked to the castles from the opposite side of the mountain, and I arrived just before the site opened, coming in on an overgrown side trail. Up among the ruins I was totally and completely alone, and when I began my descent in order to meet my friends, the tourists who were just arriving seemed startled to see me coming down (so, too, did the workers in the visitor’s center, which I needed to pass through in order to get out of the site and into the village). I could easily say that all of the walking I did in Paris was memorable, because I just love Paris so much. I was there for a week this summer, and by the end of my visit, I felt like I knew where I was going. 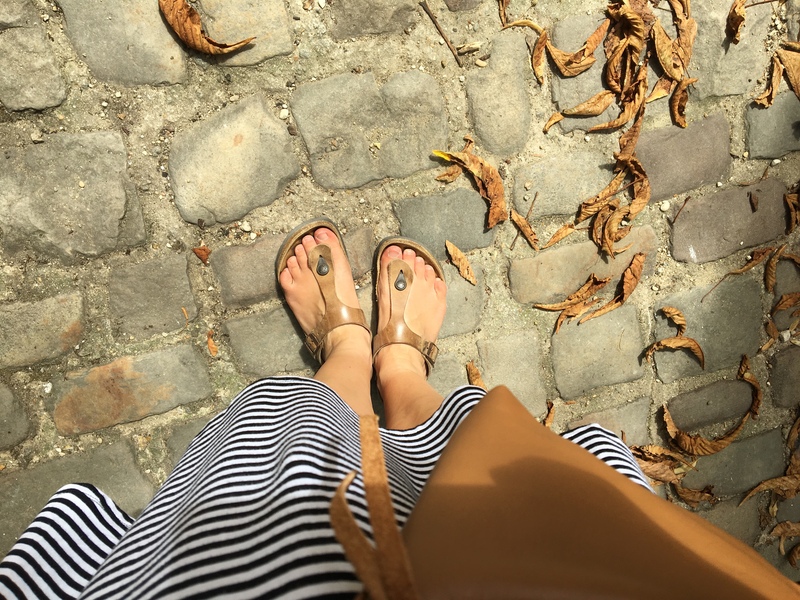 I’d done tons of walking and exploring in the quartiers (neighborhoods) around where I was staying, and so in those last few days every time I headed out, I knew my way. 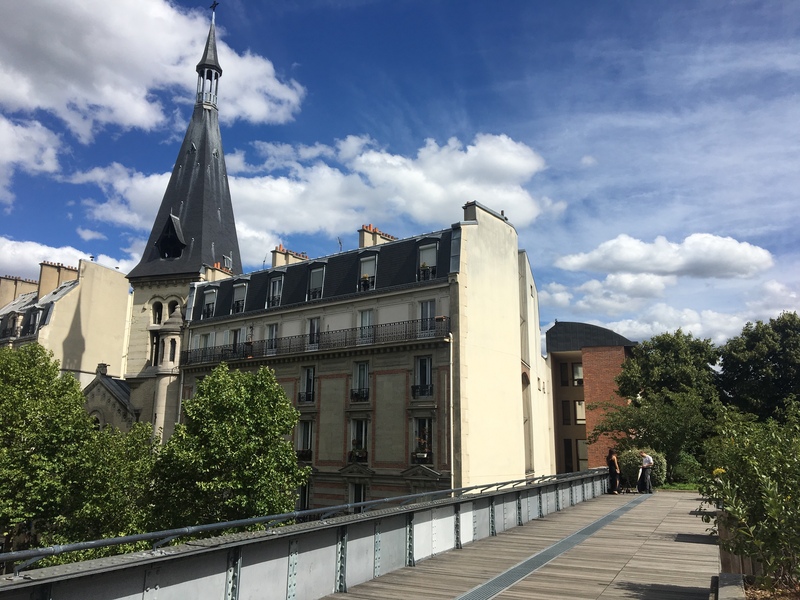 There is so much beauty to Paris: the grand architecture and boulevards and all of that sparkling light on the Seine, but there’s also the beauty in the quiet corners, the winding cobblestoned streets, the corner cafés. I started to recognize those quiet streets, and as I walked around and around, I felt as though I fit into it all. Favorite Moment(s): When several people stopped me and asked for directions. It makes me smile every time I think about it! Friends and I stayed near Great Smoky Mountains National Park when we traveled down to North Carolina in August to see the total eclipse. Because we only had a few days, because we were a small group, and because we had some other activities we wanted to do, we didn’t actually get to do much hiking (a bit of a disappointment for me, but the main purpose of this trip was for the eclipse, so I’ll just have to get down to the Great Smoky Mountains again for some real hiking). But we did manage to fit in a quick (and steep!) 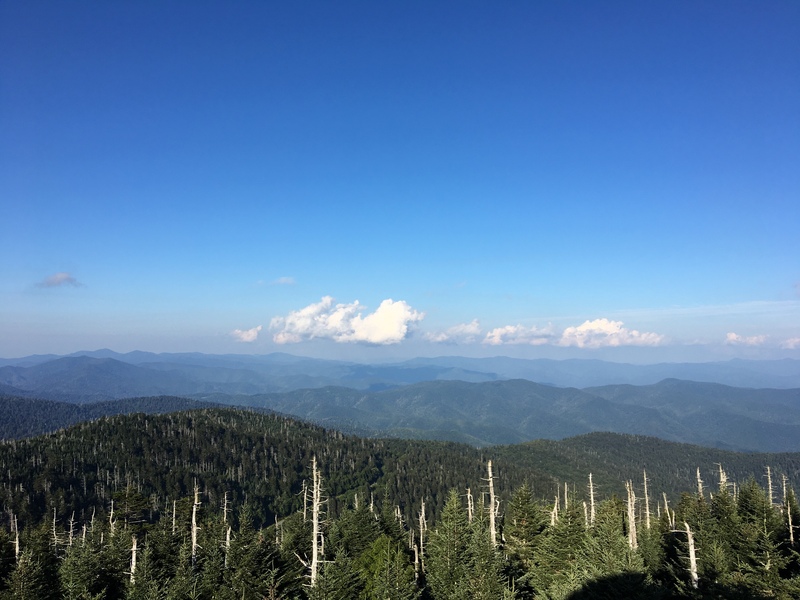 hike up to Clingman’s Dome, the highest point in the park and the state of Tennessee. The weather was perfectly clear and the view was stunning in every direction. 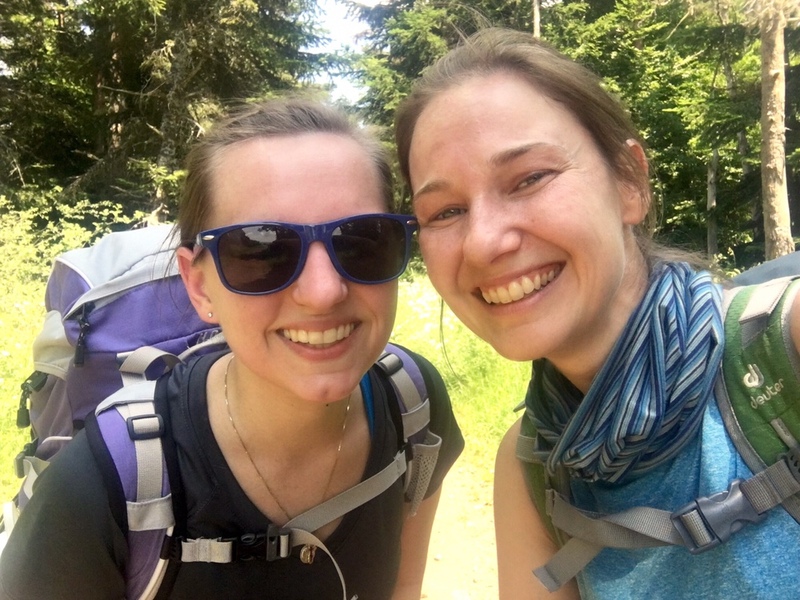 Favorite Moment(s): Good conversation with a friend as we hiked to the top, and being able to see so far into the distance on a really beautiful summer’s day. Another steep hike to another lookout point in another mountain range (though this one much smaller), in the Catskills of New York. But this hike was very different: I was on a solo trip, and the weather did not cooperate. 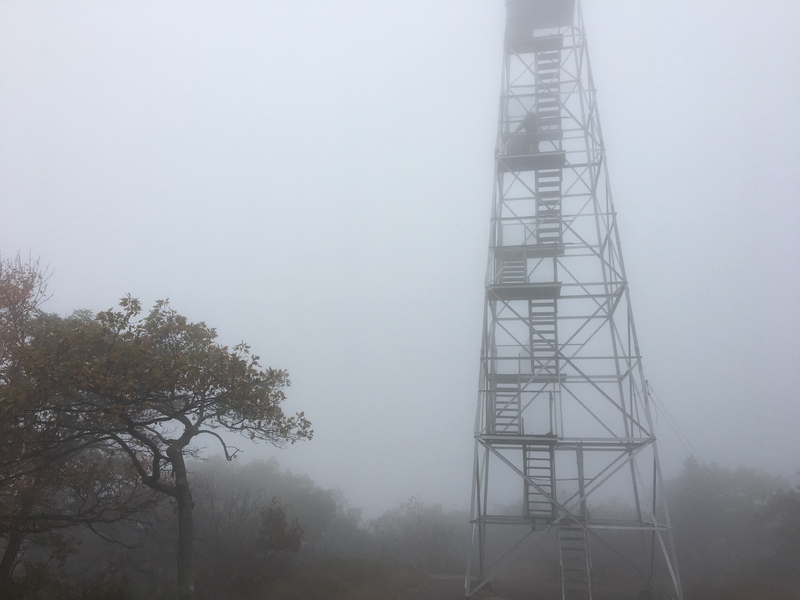 I knew, when I started hiking, that I wouldn’t get much of a view at the top, and the weather only turned worse the longer I climbed. I moved into the clouds and the mist and the fog, the air grew colder, and there were a few points when I wondered if I should just turn around. The 2 1/2 miles to the top was a long and steady climb, and it was late in the day and not many people were out. Just when I wondered how much further I’d have to walk, the outline of a large and looming building began to emerge from the fog. 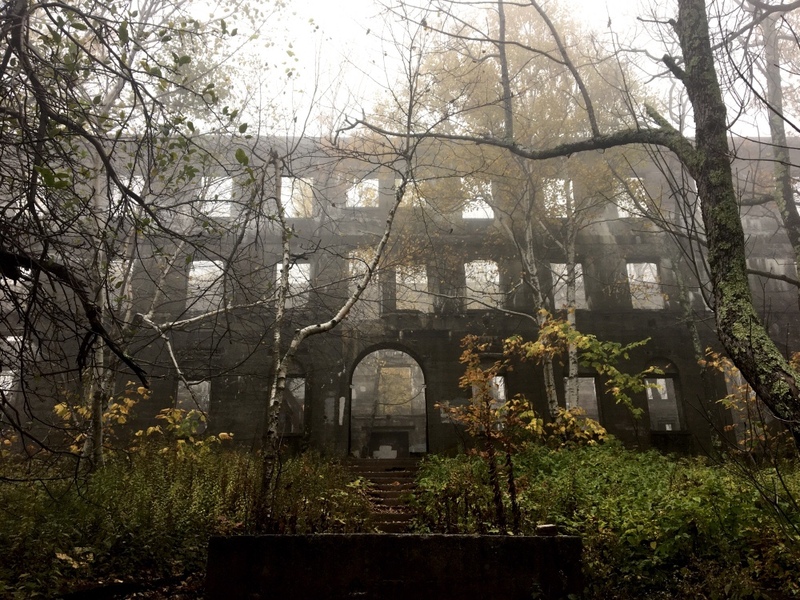 It was the ruins of an old hotel, eerie and spooky in the fog and the mist. I explored there for awhile, then continued just a bit further to the fire tower at the end of the hike. I started to climb up the tower but about halfway up I totally chickened out: once I started climbing I couldn’t even see all the way up to the top because the fog was so thick. The wind was blowing and shaking the structure and the steps were slippery. I’m not really scared of heights, but I was terrified that this old fire tower might get blown straight off the mountain, with me clinging to its side. So I missed the sweeping views and the achievement of climbing to the top of the tower, but all the more reason to return one day. Favorite Moment(s): Those hotel ruins! 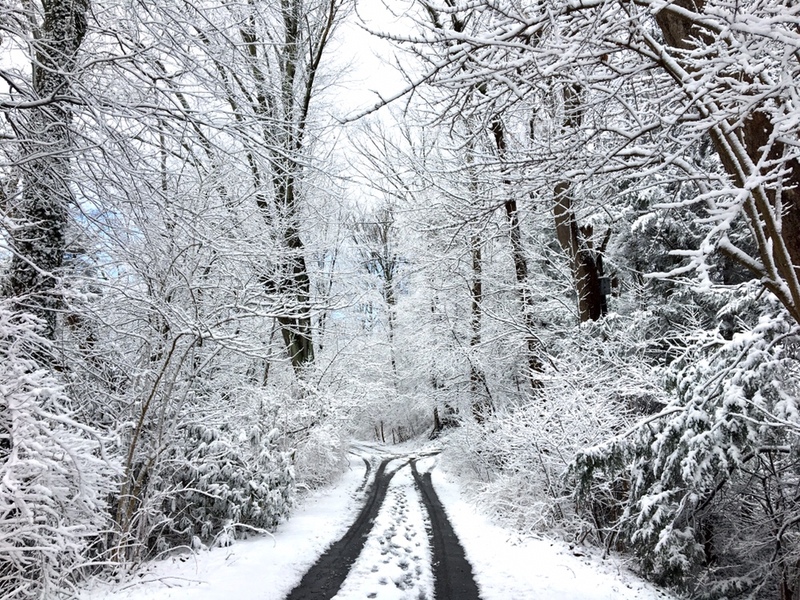 I’m going to end with the walks that I do most days of the year: the paths that lead straight out my backdoor. I live in a beautiful suburban neighborhood with tall trees and friendly people and lots of deer. 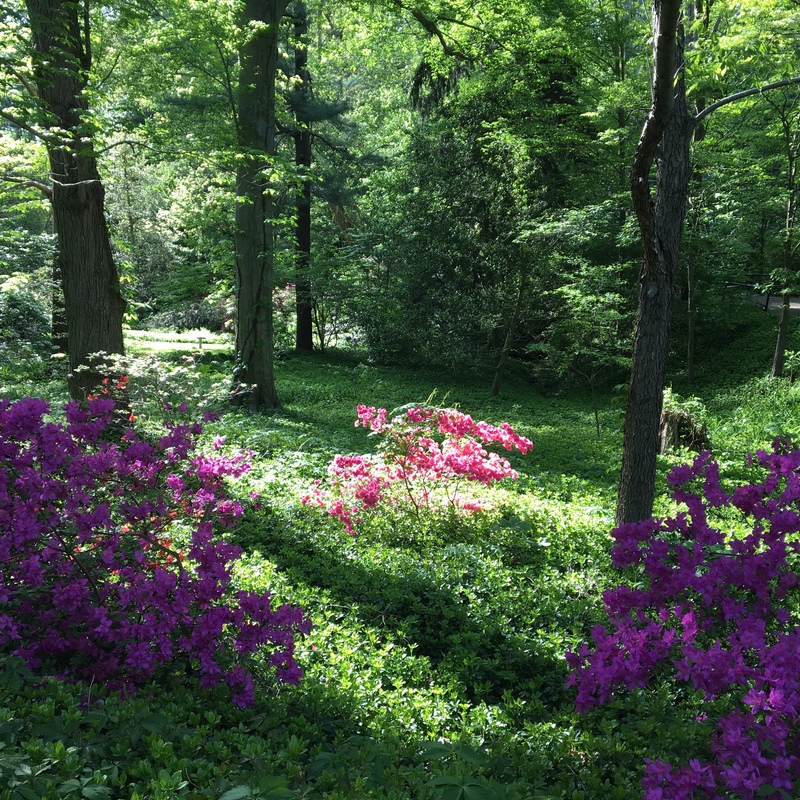 If I take a left at the end of my driveway I can veer off onto a wooded trail that winds along a small creek and is tucked away behind all of the houses. I can’t go very far without needing to cross some busy roads, so I’ve just made a big loop out of the streets and the trails and cover the same ground pretty much every day. The walking may be repetitive, but there is so much beauty to see as long as I pay close attention. Favorite Moment(s): Snow, fox, deer, flowers. Here’s hoping that 2018 brings lots of new and exciting walks!